Scientists have discovered some of nature's most powerful plant-based nutrients, and they're found inside the cocoa pod. They're called cocoa flavanols, and they're scientifically proven to †promote a healthy heart by supporting healthy blood flow*. 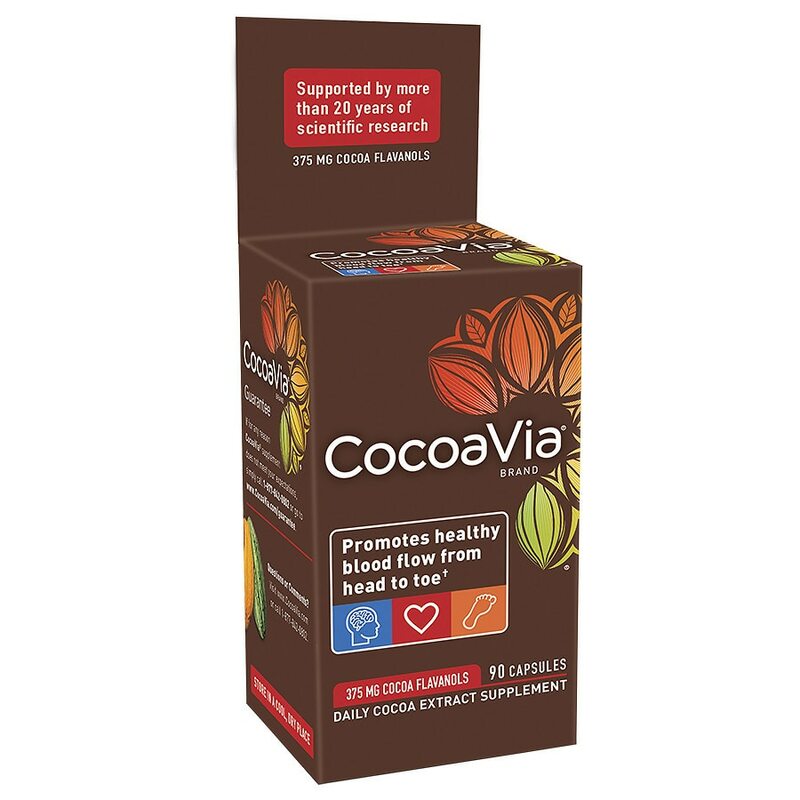 The cocoa flavanols in CocoaVia® supplement help deliver oxygen and nutrients to your heart. When your blood is flowing properly, your vital organs, like your heart, get the oxygen and nutrients they need to help you feel your best. CocoaVia® supplement is backed by more than 2 decades of scientific research by the scientists at Mars, Incorporated. They developed the patented Cocoapro® process, which helps to gently extract cocoa flavanols in their purest form, from the highest-quality cocoa beans available. CocoaVia® supplement helps deliver 375 mg of cocoa flavanols in every serving — the highest concentration of cocoa flavanols available in a supplement today. Recommended Use: 3 Capsules daily with food. Do not use if pregnant or lactating. Consult a physician prior to use if you are taking any medication or undergoing medical treatment. Do not use if safety cap is broken or missing.